Are you stuck collecting rejections from publishers and literary agents? Move beyond the rejection and receive a book contract with a traditional publisher! If you are like the typical would-be book author, you send out your book manuscript or query or even a book proposal and your only response is a form rejection. Even if you know the editor or literary agent, you don't get a single personal remark on the rejection. There is no critique or insight or personal feedback. Without this personal insight, you simply repackage your material and send it back into the marketplace. Or you give up and drop your dreams of getting a book published with a traditional publisher. Your questions pile up and you never find the answers. You can find the answers to your questions about book proposals. What if you had an experienced voice to guide you through the maze and landmines of book publishing? You need someone who has been the writer's advocate in a room full of cynical publishing executives. You need someone who has been in the trenches advocating for writers and pushing for their book contracts. You need someone who has written many books for various publishers and knows how to give you professional answers to your questions. Proposal Secrets provides answers to 50 of the most common questions from writers about book proposals and the submission process. From a list of over 275 real questions from people who want to be book authors, Terry combined and prioritized them into 50 of the top questions about book proposals--and he's providing the answer. I've seen conflicting information. How long is a book proposal? What catches your attention as an editor or a literary agent in the first paragraph? As a new writer, what is the secret to making my book proposal stand out so an editor will notice it? What are the key parts of every book proposal? I’ve heard from authors that the publisher always changes their title. Is it important to think of a good title since it will be changed any way? Do I send my proposal to several publishers at one time or do I wait to receive a response before sending it to another publisher? For a first-time author, what is the most critical aspect of the book proposal for my focus? What is a slush pile and how do you stay out of it? An editor who I met personally sent me a form rejection. If that happens, how do I make a connection with an editor where I have no personal relationship? What is the most important element in a book proposal and is there a straight-forward way to submit it? I have written four novels and several children’s books, which I’ve never submitted because of not knowing the answer to this question. Most of the voices in the Christian book market sound alike. Can an edgy voice grab an editor’s attention or does it put off the editor? 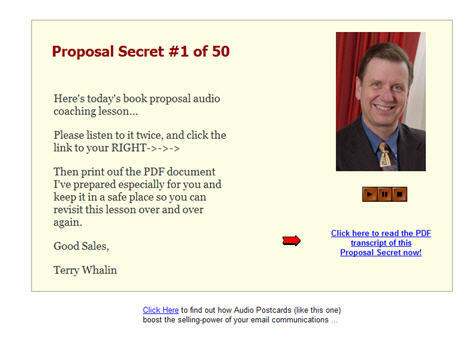 Through the Proposal Secrets E-Course you will receive an email with a link to an audio postcard. You will hear Terry teach the frequently-asked question and the answer. If you learn best through audio teaching, you can listen to the answer several times. Also each audio postcard includes a PDF transcript of the question and the answer. You can print each answer and study it for additional book proposal instruction. These proposal questions and answers arrive in your mailbox for 50 straight days to give you Terry's personal instruction and insight about how to distinguish your book proposal and catch the editor's (or agent's) attention. Just one of these 50 Secrets could save you hundreds of dollars and hundreds of hours of your valuable time. Now for a limited period, you can take Proposal Secrets for $225. In a nonfiction book proposal, which is the most important element—the author’s voice or the relevancy of the topic? What is the point of the opening or introduction of a nonfiction book proposal? I have written my book manuscript. Do I still need a book proposal? Is so, then how do I know where to send it? I want to write a gift book. What does a book proposal for this type of project look like? How do I punch up the marketing section of my book proposal? What are publishers looking for in the marketing section? I’ve self-published a book. Could a traditional publisher pick up that book and what is the process? Do I need a book proposal? Is it important for an author to have a platform? Is it equally important in fiction as well as nonfiction? If so, how does an author build that platform? When an editor gives no reason for why my proposal was rejected is there any way to find out the reason? Does it matter whether I send my proposal via email or paper? Which is best? How do I select the publisher with the “right fit” for my proposal? Is a fiction book proposal different from a nonfiction book proposal? How are they distinguished? Plus 30 additional questions and the answers. W. Terry Whalin has been a book acquisitions editor for over five years. The acquisitions editor is the first person to read the submissions to a publishing house then champions the author's project in front of a room of publishing executives. Terry knows the inside scoop on what publishers want in a book proposal. As a writer, Terry has published more than 60 books with traditional publishers such as Zondervan, St. Martins Press, Tyndale and others. A traditional publisher pays you to write the book. 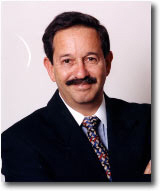 Twice in his career, he has written book proposals which received a six-figure advance. One of these proposals is included in Book Proposals That Sell. 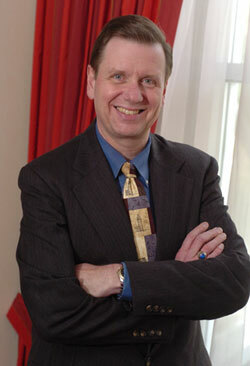 A popular speaker at conferences, Terry often teaches about book proposals. "A tremendous resource with crisp, concise and insightful advice for every writer! Ignore his counsel at your peril." 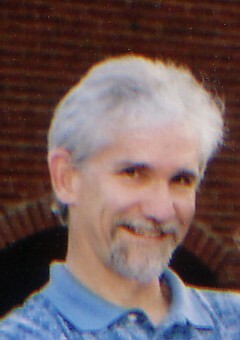 Terry Whalin has written scores of book proposals. And, as an acquisitions editor at two publishing houses, he’s read his fair share of proposals. Now he shares his wealth of knowledge brimming with pointers. Heres's your road map for bypassing the long, winding route that gets you nowhere and shows you the shortcuts for learning what publishers are really looking for. Whalin uses his vast experience in the publishing business to lay out a step-by-step plan to write a proposal that will get your foot in the door. Even the fiction writer can gain much from Whalin's insight in this book. Whether you're an aspiring author or already published, this book will help fast-track your next proposal to an acceptance letter. Your success in using Proposal Secrets is completely guaranteed. For the last few years, Terry has traveled across the United States and Canada teaching writers about book proposals. 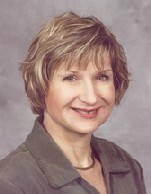 With the purchase of Proposal Secrets, you will received three audio workshops from Terry. "In the often bewildering world of book publishing, aspiring authors need more than desire, creative skill, and something worthwhile to say. They also need a road map. My friend Terry Whalin offers a map even Rand-McNally couldn’t top. " "Writers who are serious about getting published need more than talent. They need the inside scoop on what really goes on in publishing. Terry Whalin offers insider information for writers at every level bursting with real life examples and bottom-line advise to create professional proposals that will make editors sit up and take notice." "With years of experience as an author and an editor, Terry Whalin offers great advice on building the nonfiction proposal and also explains the inner workings of the editor's and publication board's role in acquiring a new book. Novelists, too, will find this background information very helpful. All authors need to understand the uphill battle they face in selling a book before they can be fully prepared to submit their absolute best proposal or manuscript. Whalin's book lays out what they'll face--and then shows them how to win the battle." Ask any Business Owner and they will tell you, "You NEED a Rolodex...a BIG one." Rick Frishman is the President of Planned TV Arts, one of America's Top Publicists, and co-author of the "Author 101" Bestselling series and as a bonus gift he is giving you his entire "Million Dollar Rolodex" (His recently updated one.) With this list, you can have access to the resources that have have promoted many books to the top of the bestseller lists and business to the top of the pay scale. The 7 Biggest Mistakes To Avoid For Unlimited eBook Profits In this 40-minute audio Ellen Violette, The eBook Coach will explain why anyone who wants to be a successful author should write an ebook. She'll also reveal the common mistakes people make that sabotage their success and keep them from maximizing their ebook profits! In addition, you will receive a personal subscription to her highly-regarded eBook Profit Secrets Newsletter with content-rich articles, valuable tips, informative Q & A’s that will give you valuable insights and short-cuts to ebook and information business success! 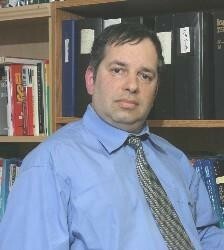 Bob Bly is an independent copywriter and consultant with more than 25 years' experience in business-to-business, high-tech, industrial, and direct marketing. McGraw-Hill calls Bob Bly "America's top copywriter." He is the author of what many consider to be the "Bible" of copywriting, The Copywriter's Handbook, published by Henry Holt & Co. This special report teaches you how to come up with a marketable idea for a nonfiction book, write the book, and sell it to a major New York Publishing House for a $5,000 to $15,000 advance. Jeff is an Article Writing and Marketing Mentor Coach, helping entrepreneurs, private practice professionals and internet marketers write and market articles and create products with their articles for more prospects, publicity and profits. As a bonus from Jeff, you will receive two of his instant article templates. When You Combine These Valuable Bonus Gifts With The Excellent Book Proposal Insight and the Unconditional Guarantee, You Have Zero Risk. 13 things a book can do for you and your business. how to avoid the 7 mistakes at least 95 percent of authors make. two tools/techniques to begin writing your book as soon as you finish this class. This training is the perfect companion to Terry's Proposal Secrets, because it will help you lay the groundwork upon which your book proposal will build. Since 1988, Susan Kendrick and Graham Van Dixhorn have been making every word count for a wide range of businesses and entrepreneurs. Their early clients included corporate giants such as DuPont, IBM, and Mayo Clinic. In 1992 they began working intensively with individuals who were taking their expertise to the next level as authors, speakers, and consultants. As book cover experts, Kendrick and Van Dixhorn develop book titles, subtitles, back cover sales copy, testimonials, and other buy-me-now book cover copywriting. Their expertise has helped their clients win 21 major books awards--Ben Franklin, IPPY, Foreword Magazine, and DIY--in the last five years alone. Their double bonus includes “From Back Cover to Bestseller,” which has tips and strategies that can help you put the advice in your book into practice, PLUS a 30-minute private coaching session.